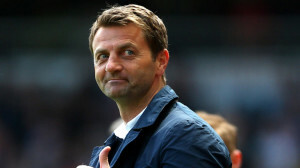 Day/Game 3 for Tim Sherwood & Villa and Tim has decided that the best way to alleviate pressure on his band of bedraggled men is to increase the pressure on them by way of stating that they must win six of their next eleven matches. Happily for him, four of those away games include visits to City, Utd, Southampton and Spurs. Hmm… First up, however, in the race to secure Premiership survival is a very tricky home match against West Brom. Villa really missed the boat this Christmas in deciding to stick with ex-manager, Paul Lambert, as long as they did. Had they moved sooner, they may have had an excellent chance at turning the head of Tony Pulis before West Brom stole a march on everyone and appointed the man who has the enviable reputation of never seeing a team in his charge be relegated. Still, at least Tim will be good for a stream of self-regarding waffle from now until the end of the season. West Brom’s record for their last ten games in all competitions reads: W6 L1 D3. By anyone’s standards, that is very impressive and the type of form which, if sustained, would most likely see West Brom finish in the top half of the table. However, a closer look at that run will show you that West Brom’s away form in that time has yielded a single win (that against Birmingham in the FA Cup) and three draws. They may not lose on the road but they don’t win much either. Villa on the other hand have not won a league match in their last 12 outings and have only scored three goals in that time. Pulis an no doubt taste the blood in the water and will surely encourage his players to take all three points from this fixture. Paddypower are offering a very tasty 2/1 for a West Brom win. This column speculated some weeks ago that Southampton were due a wobble. Sadly for those who were genuinely happy to see Southampton confound so many of their critics for so long this season, it looks as if some of the wind has been taken from their sails. Top scorer, Pelle, has suffered from an unshakeable case of the jitters, awfully encapsulated by his barely believable miss against West Brom at the weekend when he failed to make any connection with the ball as it sailed by him, three yards from an expectant goal. Koeman does have record signing Shane Long on the bench and recovered from injury so maybe it’s time to let the Irishman lead the line. He has never been a prolific goal-scorer but he is fast, aggressive and has the leap of a salmon should Southampton seek to use that avenue. He is also tactically astute (a trait Koeman values in his players) and can harry & harass defenders and sitting midfielders all match long, should he be required to do so. Crystal Palace may not be as confident coming into this match as one might have imagined given their 1-3 win away at West Ham last weekend. The cost of that victory was a dismissal for brace-bagger Glenn Murray and possibly a ban as a result of violent conduct for midfielder Mile Jedinak. In Alan Pardew they have a manager who will not let them use that as an excuse and he will be looking for his players to put their boot on the Saints’ neck and come away with three points. If they were to win, it would Palace’s fourth straight away win. Even allowing for Southampton’s poor recent form, this column can’t see them capitulate here. However, given the respective form of both teams, the price of 5/1from Betvictor for the Palace win look far too good to turn down. This preview can definitely be filed under ‘mischievous’ as it may well see some ridiculous assertions being made. Firstly we have second-placed City welcoming a Leicester side which prop up the table on eighteen points, four points adrift of their nearest rivals. There are a massive thirty seven points between both teams. Second in the league versus last place, it all seems straight forward enough. A league table is as objective a tool as can be produced to transmit information consisting, as it does, of fixed values ascribed to three respective results. However, it cannot convey the nuances and subtleties which often happen in games and can take the form of bad luck, say. Chances are that not many would say that Leicester have been a poorer team than a good handful of those ahead of them in the table and yet the same table suggests that they are nailed-on for the drop. However, if they manage to get their results to match their overall play, they could well work themselves into safety, such is the paucity of form in the teams above them. On the other hand, City have not had a good week. One might go so far as to say that they have had an awful week losing at home to Barcelona in the Champions League and away in the league to Liverpool in a result that might be the death-blow to their title aspirations. As champions, it might be expected that they would use this match as a well needed tonic and put a struggling Leicester to the sword (that’s certainly what the bookies think) but something about the demeanour of their players at the moment does not fill this column with much optimism on that front. Which is to say, somewhat mischievously, that a gander at prices which exclude the home win might be worth a ponderous moment or two. For the cash-silly amongst you, Betvictor is offering 12/1 for the Leicester win but this column may well sniff around the price of 6/1 offered for the draw by Betfair.